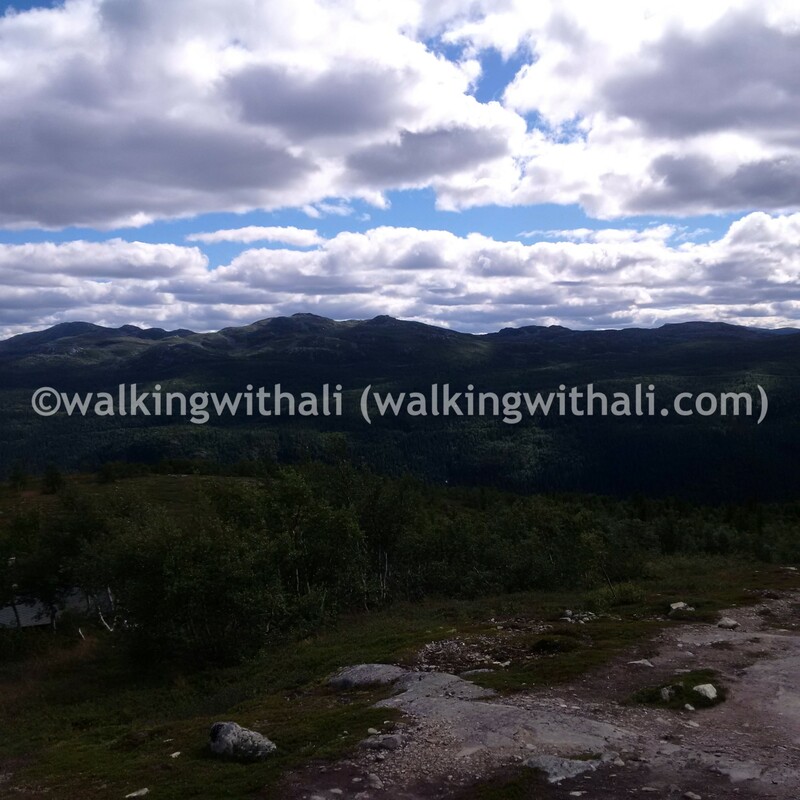 As it was high season for hiking, most of the B&Bs, motels and hotels in the area were full. 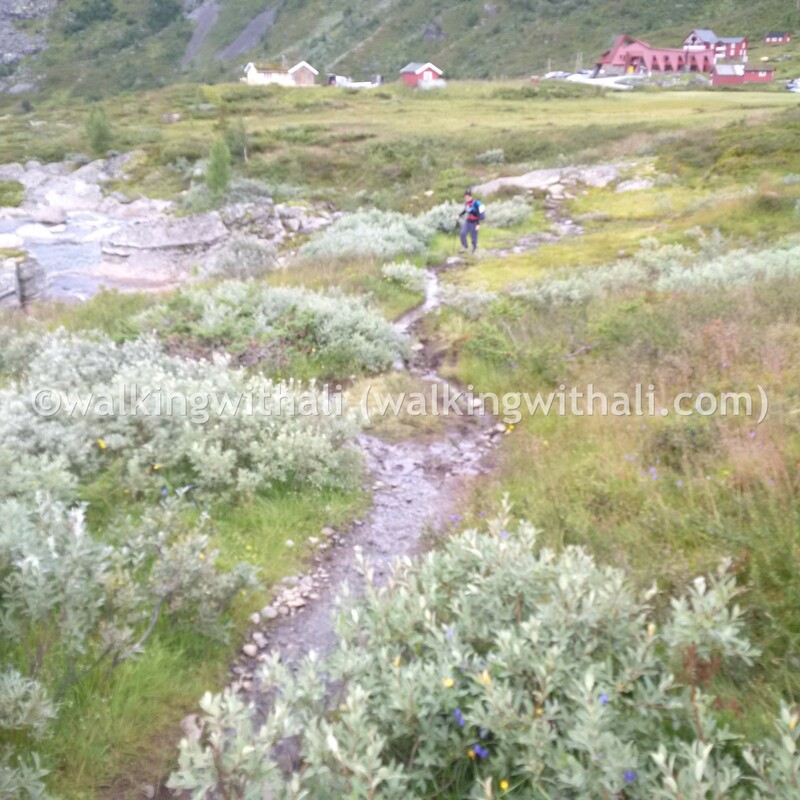 We came across this hotel called Rondablikk Hoyfjellshotell and it was available. 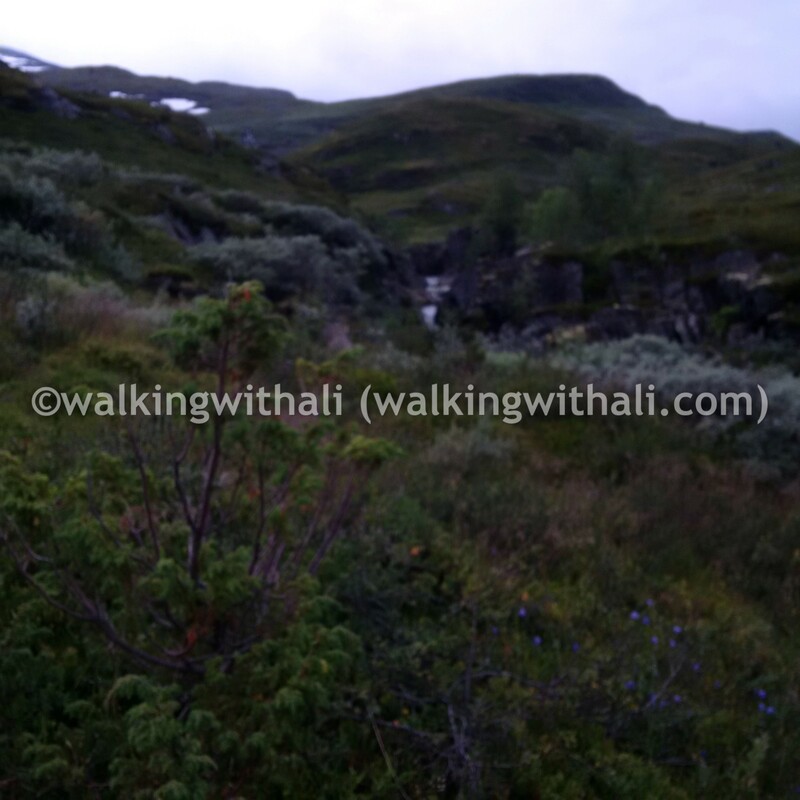 So we drove back towards Kvam and checked in for the night before nightfall. It was a small room on the ground floor and we brought only what we needed for the night to our room. The room and place was a little odd and the place reminded us of an old barn. The place looked better in the photos. The rooms were made to look modern while the other areas of the hotel was rather traditional. We had breakfast at the hotel the next morning with taxidermied birds watching us. We checked out and left for our hike after breakfast. 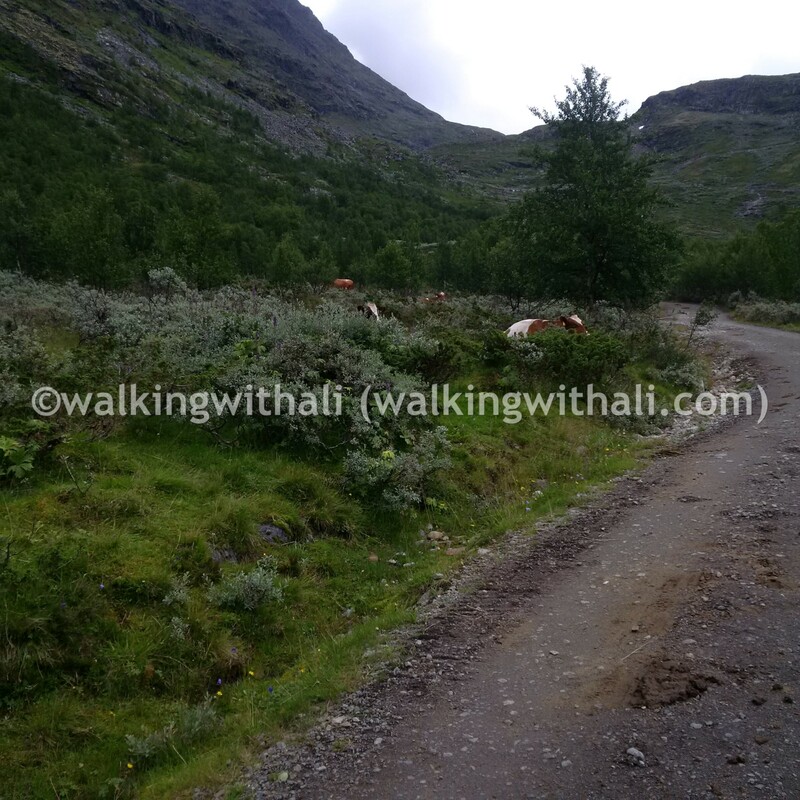 Our next destination was the Gjendesheim carpark where we would start our hike. We had to buy parking for the next few days at the shop near the jetty. 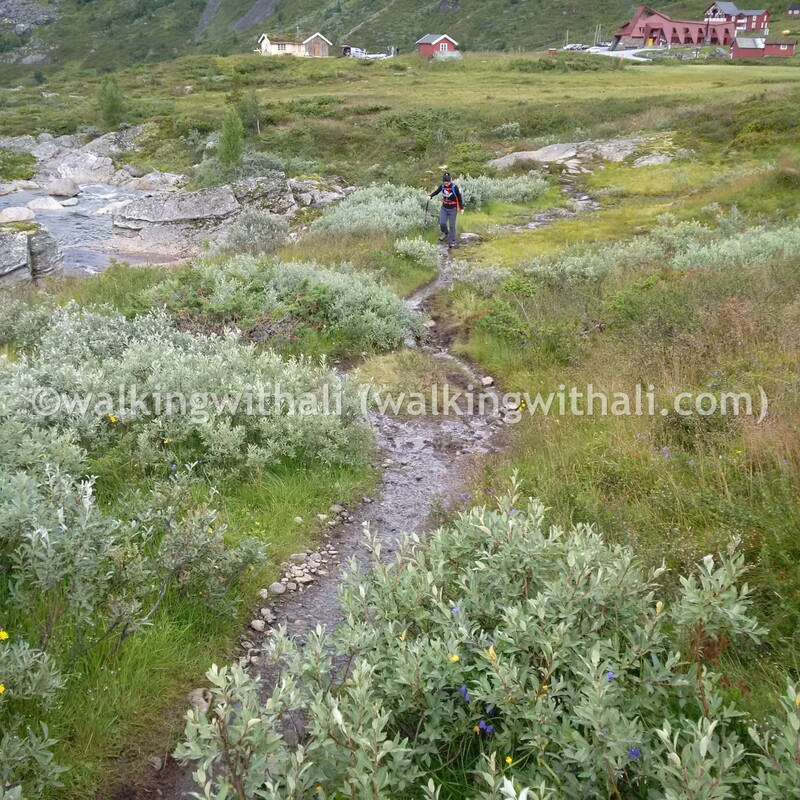 You could enjoy the area either by taking a boat down the Gjende or walk. After getting our parking coupon, we drove back down to the carpark for long-term parking. We were informed that the weather hasn’t been good as it has been raining quite a lot. Long-term parking which, we’d later obtained a refund for the balance days we didn’t use. I think we left after staying at Memurubu for the second night. Near the jetty at Gjendesheim. It started raining right after we got to the carpark. So we waited and waited some more until the rain subsided and we decided to call for the pickup service which would take us from the carpark to the place where we bought our long-term parking. After waiting on the licence for a week and then waiting for the bad weather to pass, we were almost out of enthusiasm for the hike. Nevertheless, we went for it and started out wrong. 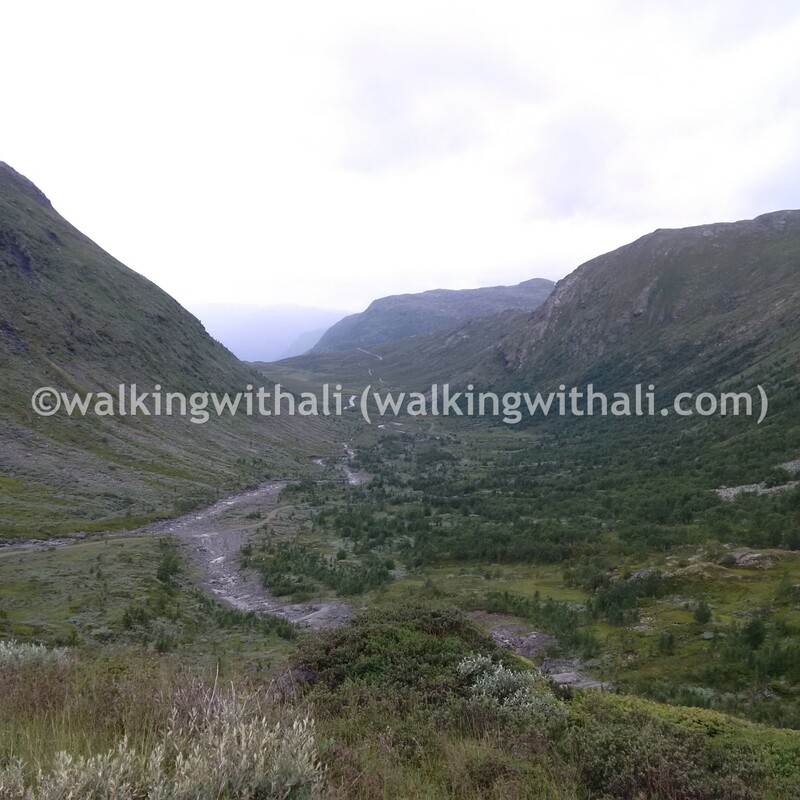 We didn’t notice that we were walking the wrong way until we realised that we should have gone UP the path which would have taken us on the Besseggen ridge. It clearly has marked out the paths on the map. The path to the ridge goes UP from the carpark. We took the route which was straight from the shop. This route still required us to cross a large rock surface on the mountain with only a chain that separated us from the ocean below. That was possibly the scariest moment of the entire hike especially after having fallen twice before we reached that part. There was something wrong about the way my backpack was rigged up. It was sliding towards the side and I fell due to the unexpected weight imbalance at some points. The second time I fell, I landed on my face. M took a fall at another point at the hike and we both thought that with the way we were, it was probably a blessing that we took the wrong path as a slip like that up there could have been worse. The rocks and route was slippery from the rain and it did rain a little on and off during our hike to the first pit stop at Memurubu. We got there a little before nightfall. By then, we were both drained of our enthusiasm from hiking. Realising that we took the wrong route and missed out on the best bit of the trail took its toll after falling during the hike. We registered for our campsite at the DNT hut at Memurubu and bought ourselves a shower each. After setting up our tent, we went for our paid warm showers, which was comforting. The hut was nice and warm but we opted to camp outside instead of paying a bomb to sleep with others in the room. As it was raining earlier, the seats and camp ground was wet. 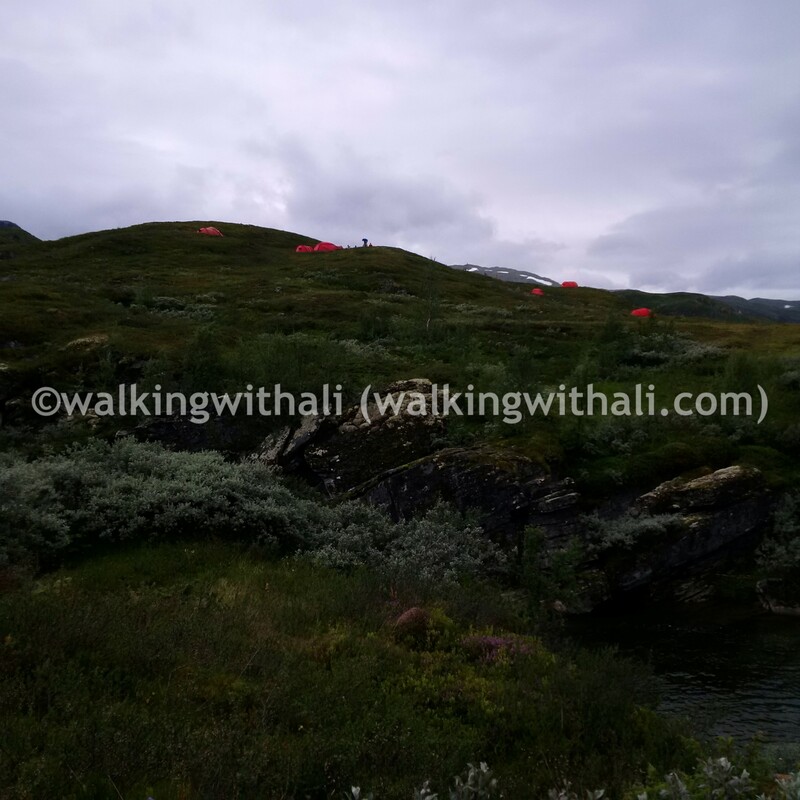 Despite sitting out in the night chill and on our rain covers, it was peaceful just eating our camp food out there. It rained that night again and we slept in the next day, almost close to lunch time. We made our own lunch and coffee. 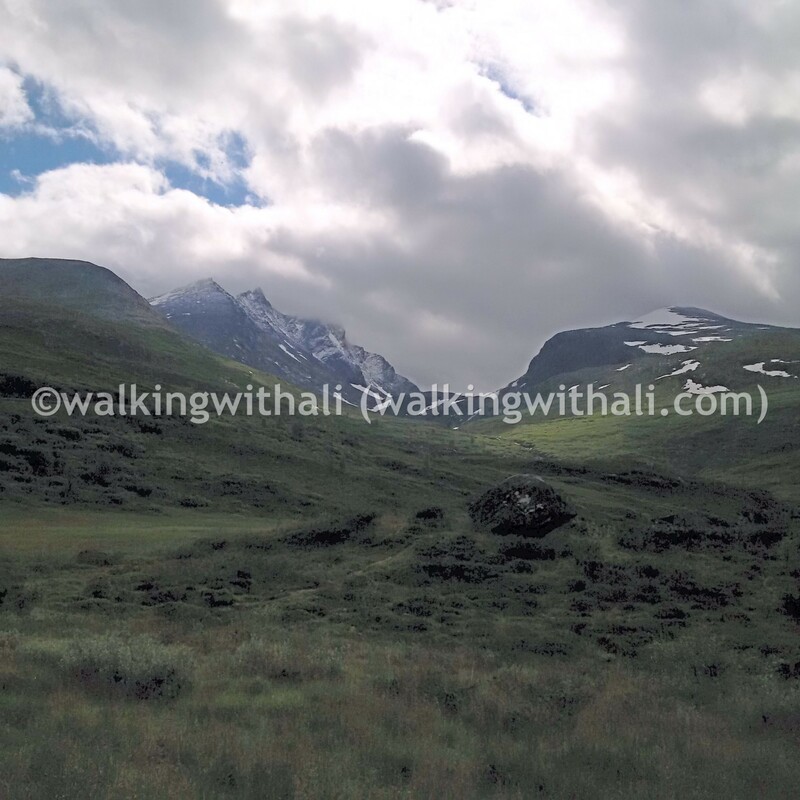 After checking the weather chart, we decided that it wasn’t a good day for us to continue our hike as there was bad weather up ahead. So we stayed at the campsite for another day. We spent most of our day at the hut reading and playing board games. I introduced the game of Uno to M which I think we played ‘off-rules’. It was our first time playing card games or board games with each other. Memurubu hut from the Gjende edge near the campsite. Waffles are very popular in Norway. They seem to serve that at every DNT hut. We had some waffles and coffee as a snack, with a sandwich. We made our own meals with the food we brought. The next day, the weather didn’t look good either. In fact, it looked worse. We made our decision to take the boat back to Gjendesheim. We reflected then that it was probably a blessing in disguise that M forgot his licence. 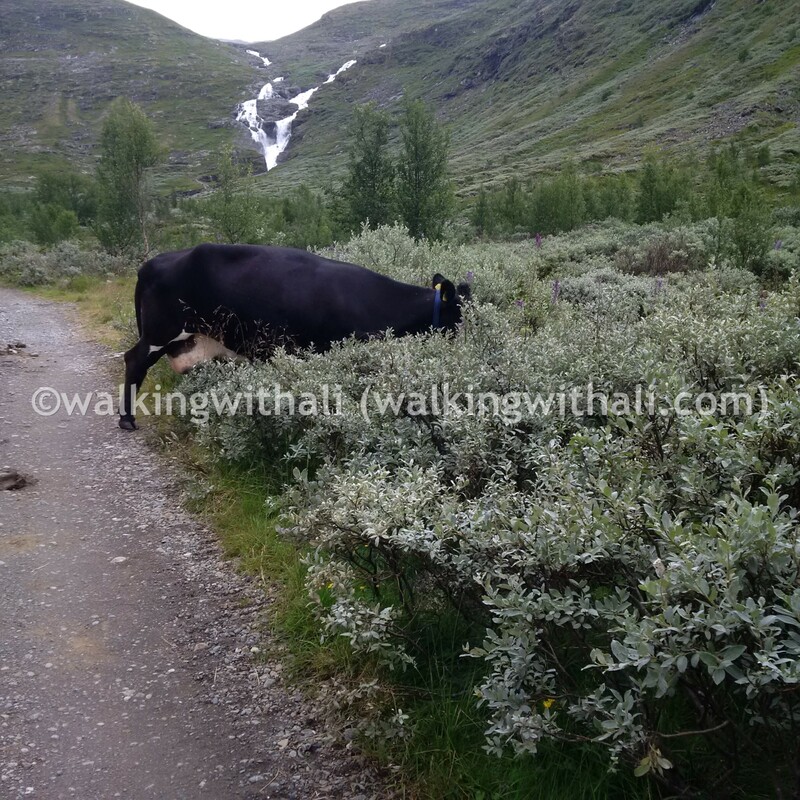 As if he didn’t, we might be in the middle of our hike then in bad weather, without the opportunity to turn back. Lots of other hikers were waiting at the hut for the boat ride back as well. It was another half a day of waiting for the next boat as we’d missed one that morning. The hut was almost empty of hikers that day, with some who left for their hikes that morning and some who left on the boat. We waited at the jetty closer to the pickup time and it was raining then too. The boat company has been family owned for about a century. Harald Rune Øvstedal, the current skipper is the fourth generation who’s running the operations and is still very involved in the day-to-day activities. So we returned to the carpark feeling unaccomplished. We received our refund for the carpark and then set out in search for a hotel to stay for the night. It was good that we left when we did as the weather took a turn for the worse. The roads were slippery and it started looking like fall instead of summer. We had the heaters on in the car during summer and we were driving through fogs on the tiny mountain roads which M expertly maneuvered. Driving around the mountains towards Turtago. It was a ‘road tour’ of the mountains where we would have been hiking. The drastic change in weather on our way around the mountains. 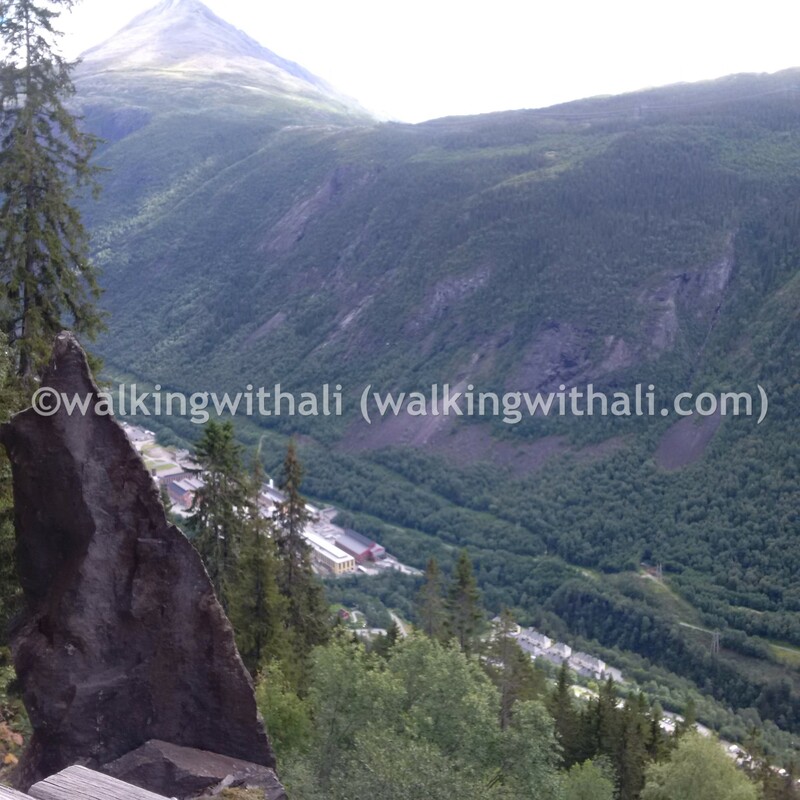 We stopped in Luster and stayed at Skjolden Hotel. It was a cozy looking place overlooking the mountains and a lake. The rooms were clean and food was simple. Buffet style breakfast included lots of cheese, crackers, rye crackers, bread, hard boiled eggs and cold cuts. So we began our cabin holiday from there. 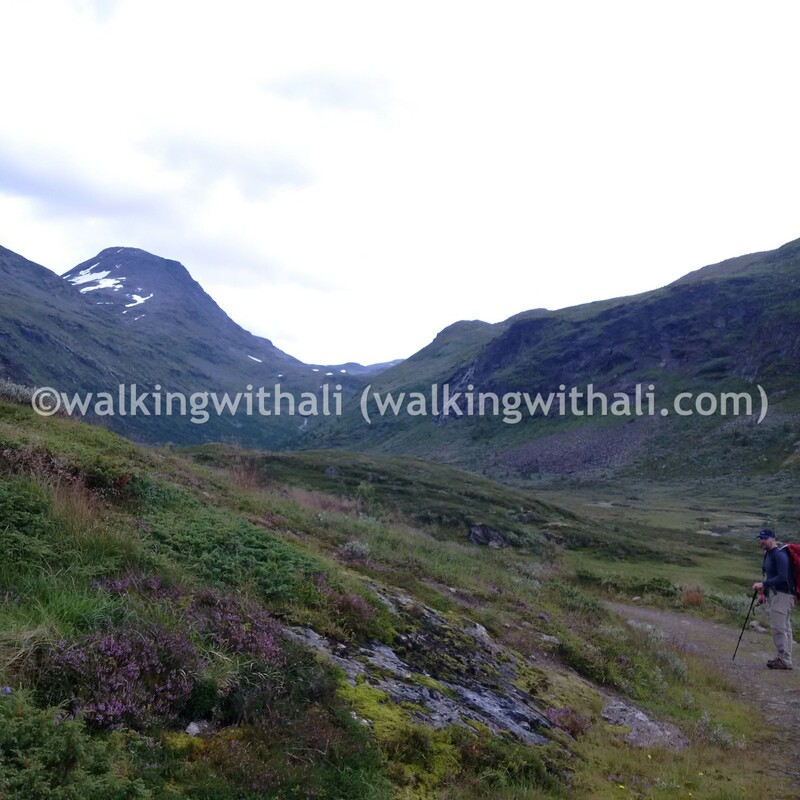 We booked a cabin in the mountains near Hardangervidda, which is another popular National Park in Norway. 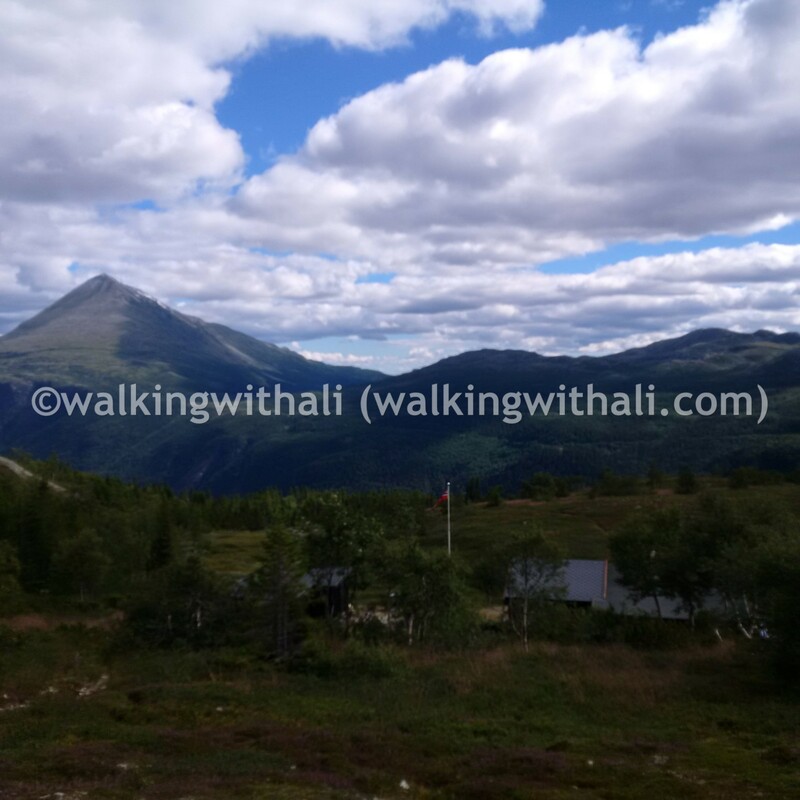 We stayed around Telemark for the next three days before our drive back to Copenhagen. On our way to Telemark, we passed through the longest tunnel ever – The Lærdal Tunnel, a 24.51km long road tunnel which connects Lærdal and Aurland in Sogn og Fjordane. It is the longest road tunnel in the world succeeding the Swiss Gotthard Road Tunnel. The tunnel had ‘light’ breaks in between made to help drivers stay alert within the caves. It was quite distracting to want to stop and view the lights. I managed to get a few photos of the second cave but not the first. It was a beautiful cabin with too many rooms for us. There were at least three other rooms we didn’t use in the house. It had a real fireplace which we used on one of the nights when it was quite cold. The cabin is situated close to a small town in Telemark called Rjukan which we discovered that it was also home to where they produced heavy water in the past during WWII and also home of where one of the most daring sabotage operations of WWII was. 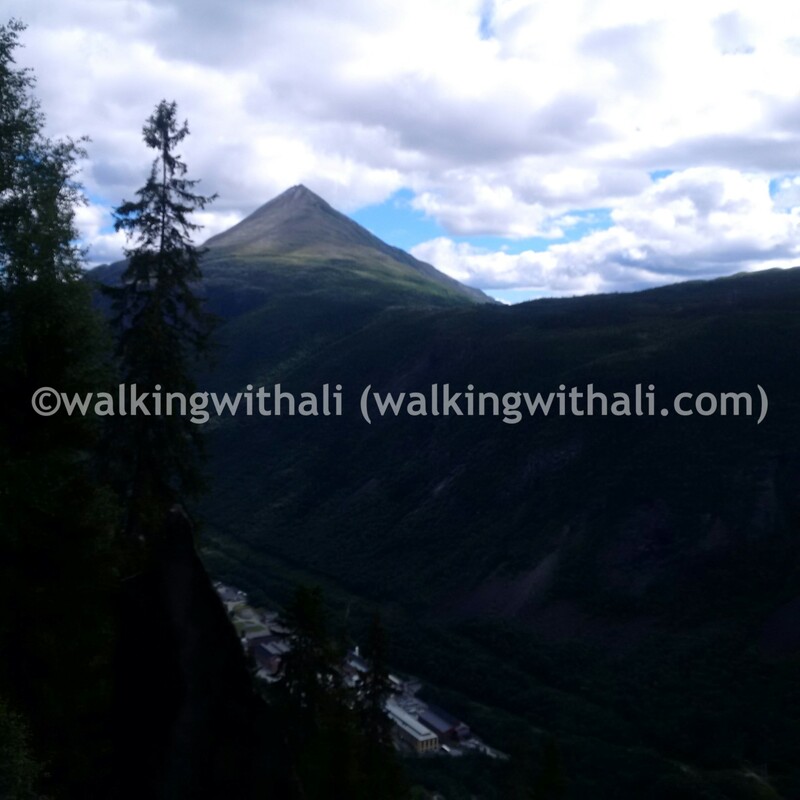 We visited the Vemork Museum where we learnt about the Grouse operations and were fascinated with the stories around it. Heavy water was thought to be an essential ingredient for developing a nuclear bomb and the plant was then occupied by the Nazis which posed a threat to the allied forces. There were a total of four military operations targeted at the heavy water plant at Vemork. 19 November 1942: Operation Freshman. This failed and 41 people were killed. 28 February 1943: Vemork was blown up. No fatalities then. 16 November 1943: Air raid with 912 bombs were dropped on Rjukan and Vemork. 22 civilians were killed. 20 February 1944: The sinking of D/F Hydro. 14 civilians and 4 German soldiers were killed. 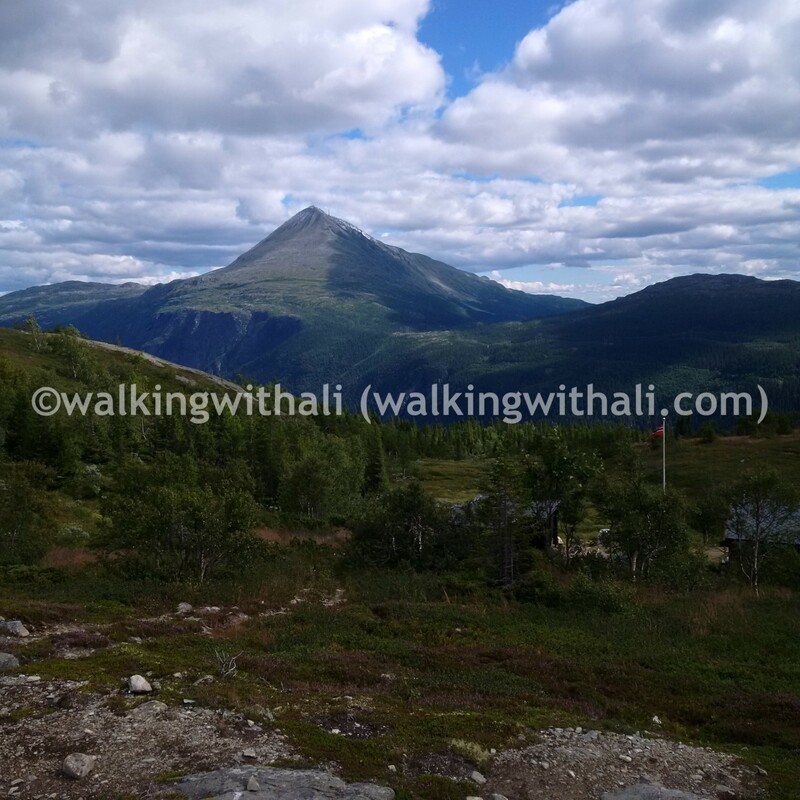 We went on day hikes in the next few days to Gaustatoppen, which became the highlight of our trip and then to the Solstien walk the next day. 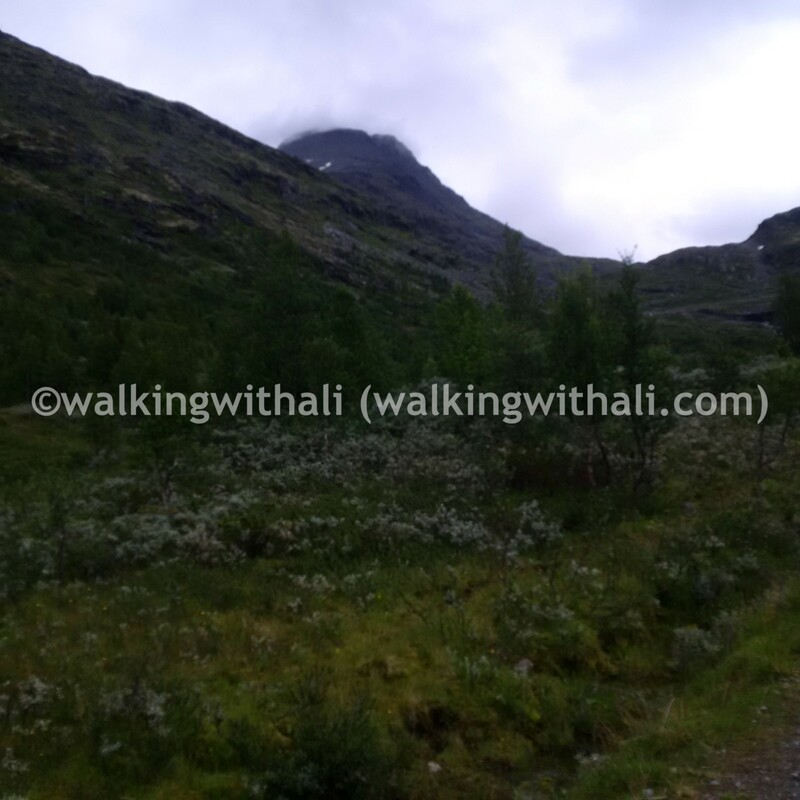 We also tried walking to Fannaråki, which we’d aborted half way as well due to the weather. 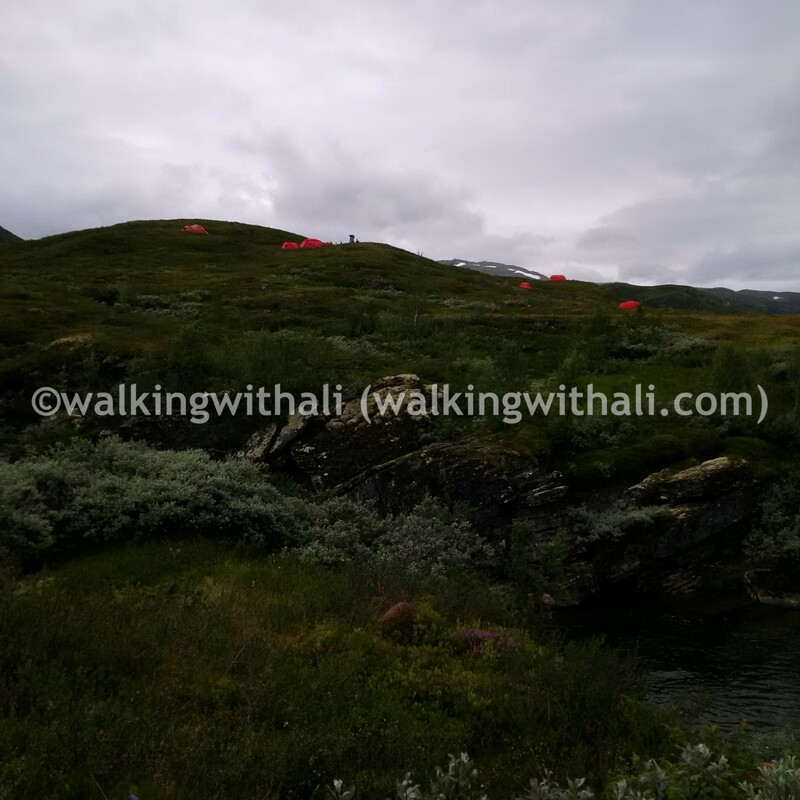 The winds were so strong and cold at one point, we had to turn back as we noted that we didn’t have proper gear on us to continue into the cold and snow. All we had on us were our raincoats which weren’t even thick enough for the cold. Trying to find our way to Fannaråki. 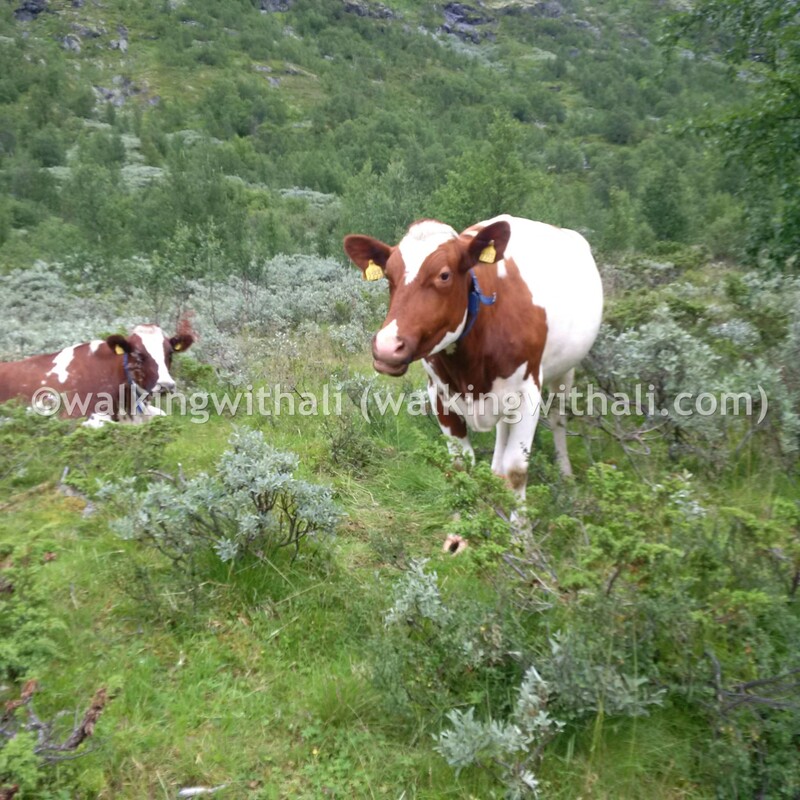 Passed a farm house on the way…. 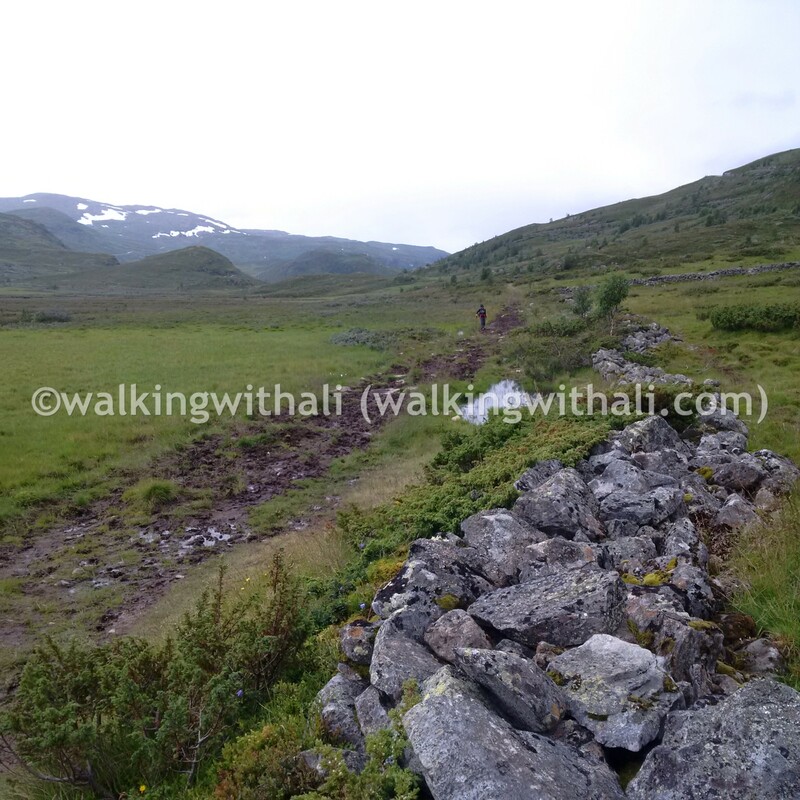 The walk to Fannaråki was mostly marsh. We discovered that the land within the farm house was less marshy and so we hopped on the top of the ledge and walked really quickly through the property before we were spotted. 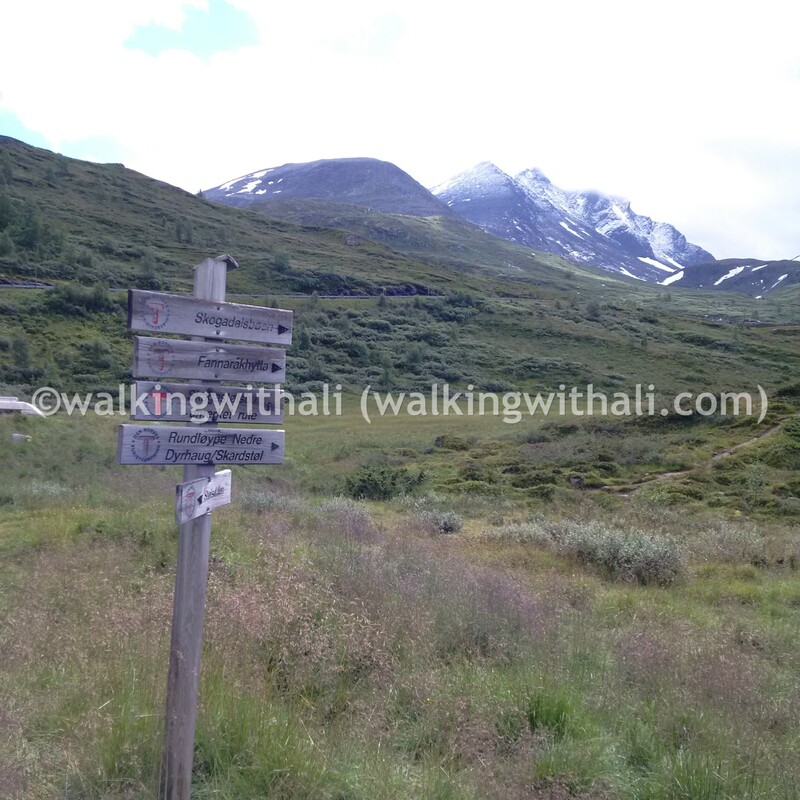 We had a view of Gaustatoppen from our cabin and it was a great walk albeit slippery with the ice and snow. I thought of going down from the ‘secret railway’ instead of walking down the slippery snow but decided that I should try at least. 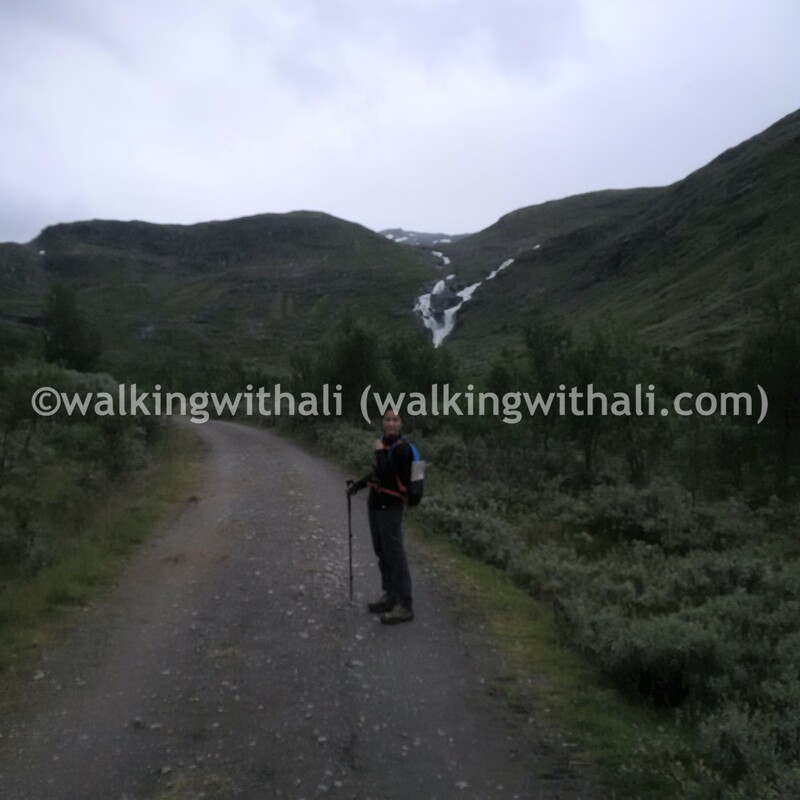 It was a lot easier going down walking on the rocks which provided more traction than the snow and ice. We were sliding and hopping down in no time. The weather changed from sunny, to cloudy and then it started hailing on our way down. I was glad I brought my fleece sweater with me. 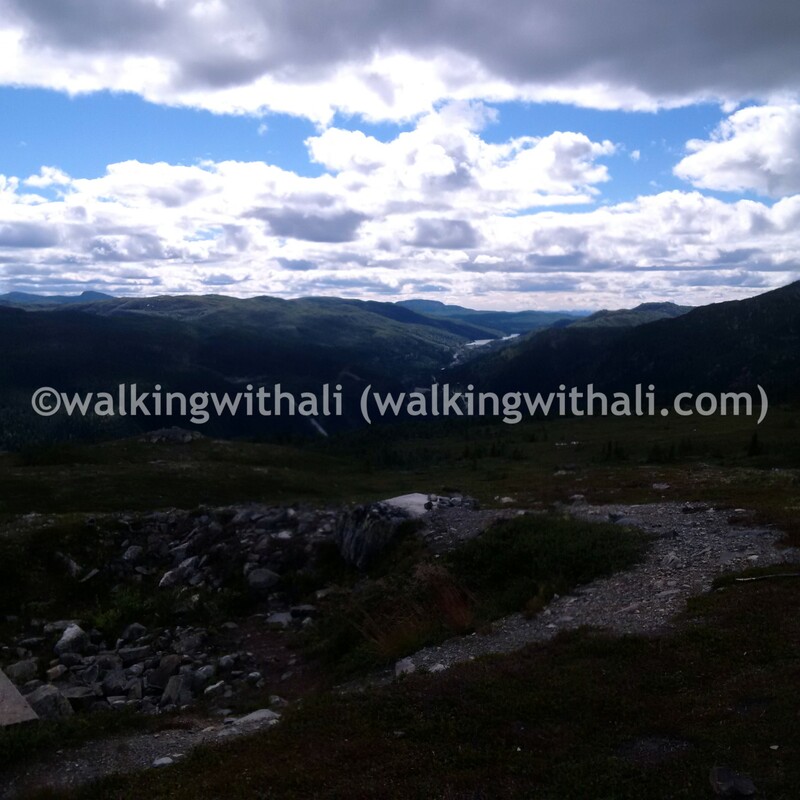 We went to the top of Gaustatoppen which was at about 1,830 metres above sea level. 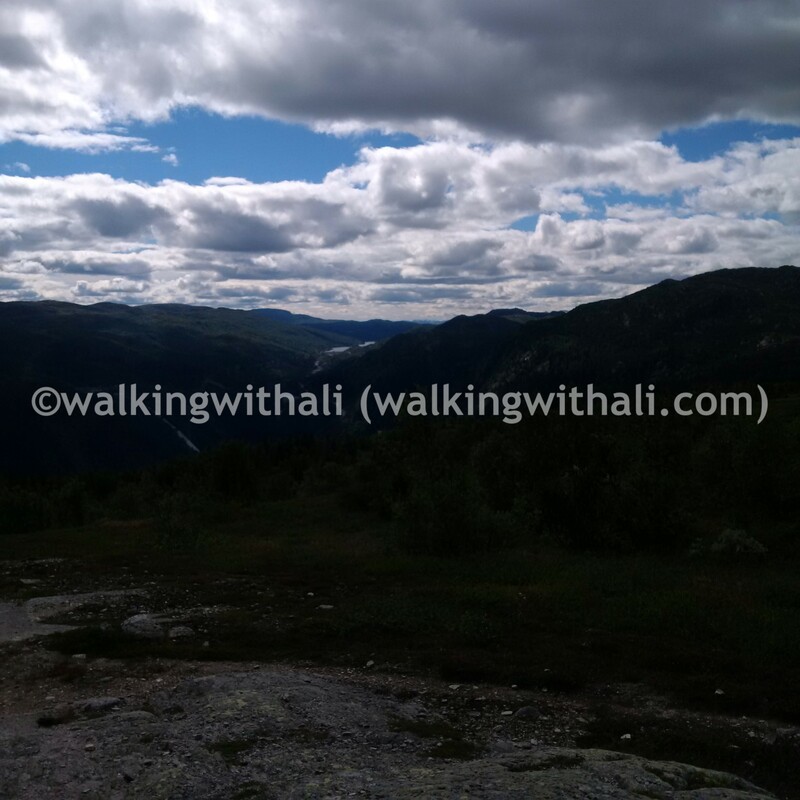 According to the brochure, we are supposed to be able to see 1/6 of Norway from the top. I’m not sure about that. It was definitely a fantastic view and we were definitely impressed as you can tell from the number of pictures we snapped on the way up and down. 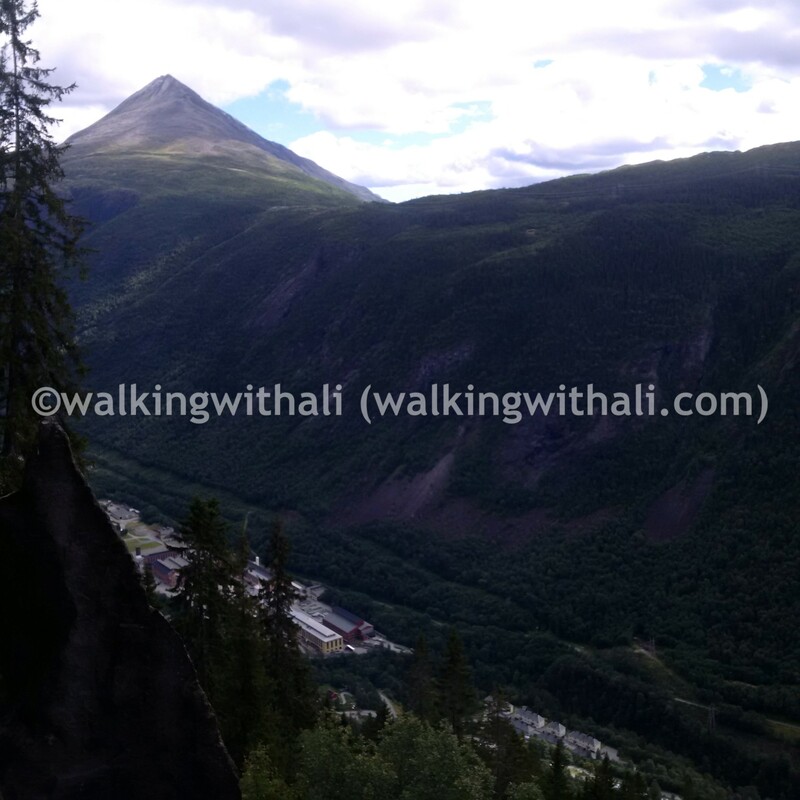 Norway seems so much larger and bigger that it just seems unreal that the view is actually 1/6 of Norway. The weather changed when we were on our way down. Some hail as we descended. Watching the clouds come in on us. Walking skillfully down snow and ice. We discovered that the best way down is by stepping on the rocks. The view was pretty ‘WOW’ for us. There were lots of people as we were close to the top. Going up this part was not easy as we were sliding a lot on the snow and ice. Catching some snow on my tongue and looking rather silly here when you can’t see a single snowflake…. This was actually one of the first few photos we took on our way up. You’ll notice that the photos here are in reverse order; starting with our descend before the ascend. 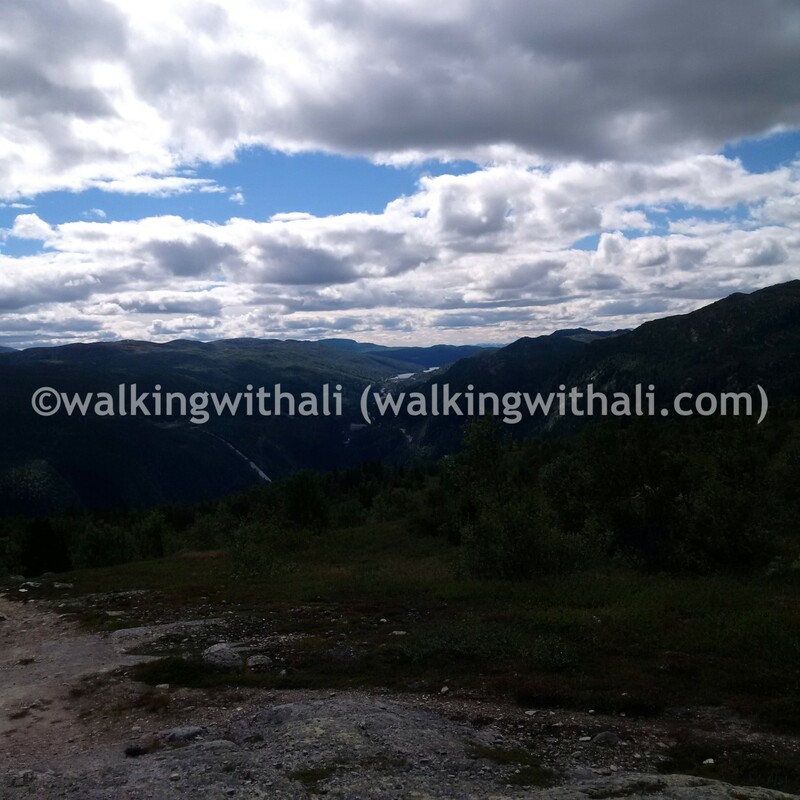 Our walk on the Solstien trail the next day paled a lot in comparison to our walk on Gaustatoppen. The rocks and steps near the hut, which were provided at Gaustatoppen, were actually knocked into presentable steps by Nepalese. At least that’s what I thought when I saw them working outside the bathroom of the hut. I was glad I wasn’t having my period then. There was no water to wash and flush properly. We enjoyed many beautiful sunsets and sunrises at the cabin…Looking for this cabin with the instructions was quite confusing in the dark. We arrived at the location a little late on our first night at the cabin. So it took a few wrong turns before we went up the correct path and then locating where the ‘box’ was in the instructions. It involved me looking into an electrical box in the chilly wind and molesting all other things which resembled a box. WE spotted a house which seemed like how the owner described it. We looked at it for a while and debated if we should just go up to it and search the porch for the box which holds the key.. In the end, we braved facing some angry resident chasing as away from their porch instead of sitting around in the dark in the car. It was a lucky guess that the key would be kept in the ‘mailbox’ looking thing next to the door. It opened with the code provided and there it was – the key! I jumped up and down on the porch to catch M’s attention who was sitting in the car and as I couldn’t see him with the bright headlights shining into my eyes, I continued my antics until I saw the car inch toward me at the house. Phew. We are now ‘home’. Our drive back to Copenhagen was a mad rush. We drove non-stop without lunch or we wouldn’t have made it for our flight back. That is not an exaggeration. I drove half way from Norway into Sweden and M took over the wheel from there all the way to Copenhagen airport. There was heavy rain when we were on the highway and with the speed we were all going at, rain was splashing everywhere on my windshield and reduced visibility even more. We switched when we stopped for gas and M raced the way back into Denmark. We got to Denmark on ‘high tide’ and needed to use the bathroom. With our limited amount of time before we had to check in, we went in search for a gas station first where we filled the tank before returning, couldn’t find a bathroom there and decided we would go at the airport. We got to the airport under an hour to our flight. To make matters worse, we were searching for the Sixt drop off and had to backtrack within airport carpark from one level to another. We then raced to the check in counters with less than 40 minutes to flight time. They let us check in. Next we had to queue at customs and it was loooong. We passed the boarding time during the wait and we weren’t even close. I checked with one of the security dudes if we could go first as we were 5 minutes away from boarding time and he said that we will make it. At that point, I was close to peeing in my pants. We passed the bag check and had to go through the passport…and then we reached our boarding gate. The last few passengers have already boarded and they were preparing to close the gate. We told them that we will need to use the bathroom first and they said okay we still had some time. It was relieve to use the bathroom and we boarded calmly after. Our flight took us from Copenhagen to Finland where we had a brief stopover which allowed us to shop for some gifts at the airport and grab a quick bite before boarding again. This time non-stop back to Singapore and back to ‘reality’. We had quite the trip and we’re looking forward to heading back for our next adventure in Norway.